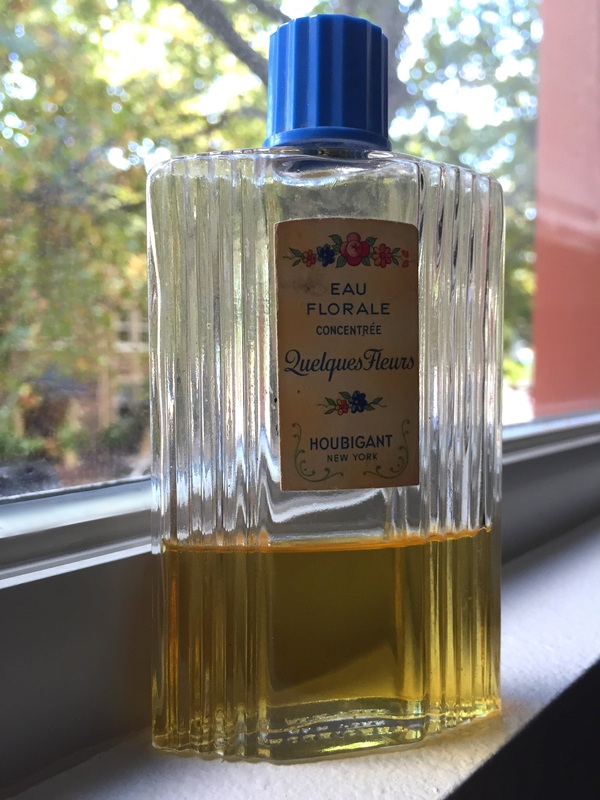 Quelques Fleurs (Houbignant 1913) is citrusy, with a definite note of orange blossom and as it progresses it floats into a sugary sweet fresh floral with a particularly refined tarragon that adds depth and mystery. Oakmoss and civet also do not disappoint as they lend sophistication and punch to the very vintage flowers. In particular heliotrope, orchid, violet orris root, and ylang-ylang are noticeable but really, more than most fragrances, it’s possible to find each and every floral note. With the base notes of tonka bean, honey, sandalwood and vanilla this scent finishes with a pleasant airy softness. Top notes: orange blossom, green notes, tarragon, bergamot, lemon and citruses. Middles notes: carnation, tuberose, orchid, lilac, orris root, jasmine, heliotrope, yang-ylang, lily-of-the-valley, rose, violet and iris. Base notes: sandalwood, tonka bean, amber, musk, civet, oakmoss, honey and vanilla. Last night I drove around our neighborhood and the surrounding areas and discovered a Whole Foods. The was strangely comforting… And I saw the Puget Sound from a closer view. I love water… I love big bodies of water. And then as I was headed back to where I now live I found myself missing St. Paul again. I’ve never experienced anything like this before… I’ve moved about eight or nine times since I was born including college when I moved to the other coast… I didn’t miss St. Paul, Minnesota, or even the Midwest back then. I was glad to go. But this time… I stayed in St. Paul just long enough and lived in just the right place to let it get to me. I miss the way the land felt under my feet – nearly level, solid and unchanging but with a gentle, elegantly placed hill here and there. The trees seemed relaxed, and weathered by age but grand and soul searching. The air felt dense and heavier but equally mysterious. And all those old brick and stone buildings… All that history. I miss it. I do see the enormous amount of beauty here though. It’s not that… Not at all.